An alluring arc of sparkle diamonds, reminiscent of mystical night skies, traverses across solid sterling silver forms. 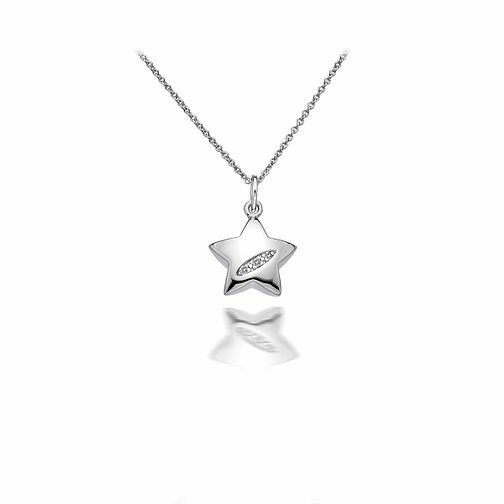 This stunning Shooting Star necklace, measuring 10mm x 10mm, is adorned with three real point diamonds in the strip detail. Included with our 40-45cm 925 sterling silver micro chain allowing you to wear this necklace to your desired length.